Workshop! May 4th from 1-3pm at Ave 50 Studio. 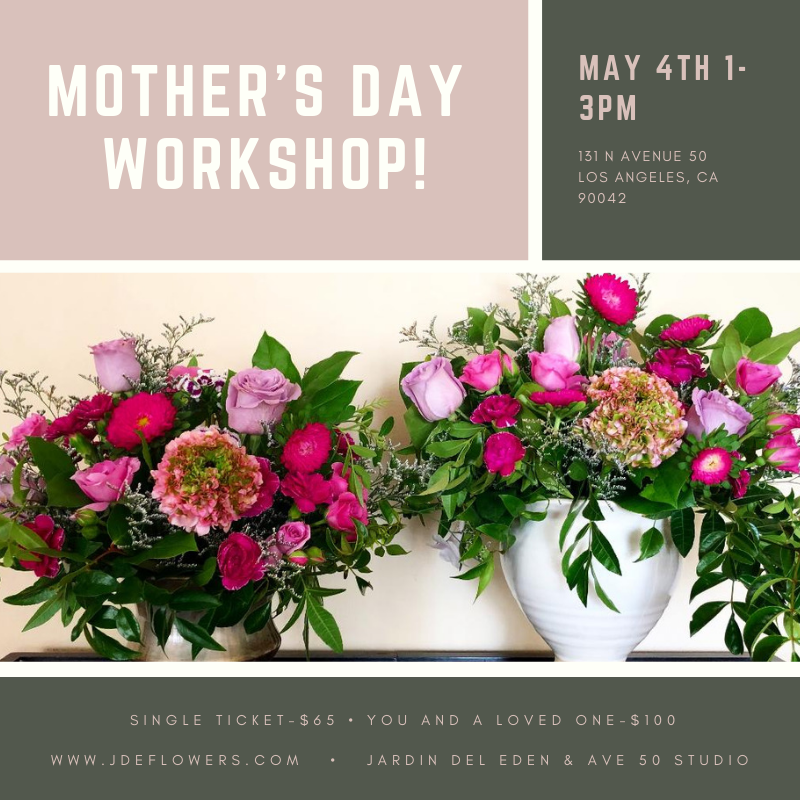 Join us for a fun afternoon, we’ll be making beautiful arrangements filled with seasonal flowers in one of the two compote vases. Please note in your purchase which vase you’d prefer-metal or ceramic. See you there! Free parking is available parallel to the train tracks.